A few companies sell tapered nylon tenkara lines -- these include Fujino and Tenkara USA. I have used the Fujino lines, but I've not tried the Tenkara USA ones. Personally, I'm a level line fan, so I usually don't use the tapered nylon lines that I have. But there are a few situations in which I will use one. One of these situations is wind. Not strong wind, mind you, but a breeze that is just strong enough to throw off my #3-3.5 fluorocarbon line, and still mess with a #4 line. I have found that a stiff tapered nylon line will "punch" its way through a headwind easier than the level line. I'll emphasize the word stiff. The Fujino Soft Tenkara lines are just that, soft, and as such don't work as well for me as a stiffer line. For a stiffer line I prefer the Fujino Tenkara Line in Ice Blue. But I don't fish long lines either. 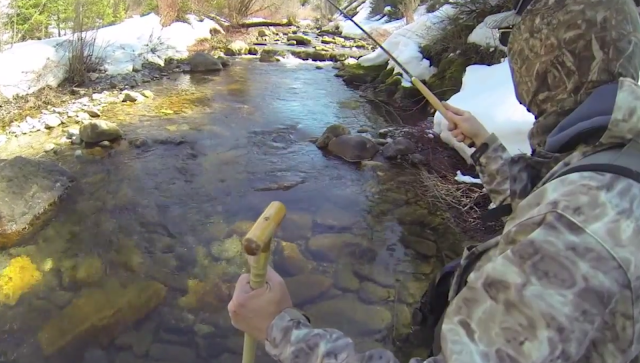 I may fish a 13 foot line on occasion, but for the streams I frequent I prefer a line about 9-10 feet long. This leaves tapered nylon lines in the 3 m length as the only option. Either that or cut a longer one down to size. For what it costs for these lines I don't like to cut them. I tend to fish higher gradient freestone streams, not slow flowing rivers or lakes. I also tend to fish casting upstream. I like to use a longer rod with shorter line. I can get quite close to the target and with a shorter line get very precise casts. This is why lines in the 9-10 foot range, when 2.5-3 feet of tippet is added, work well for me. About 6 months ago I started testing some other commercially available tapered nylon lines. They are not made for tenkara, rather, they are made as practice leaders for western fly anglers. These leaders are Umpqua Practice leaders. The freshwater leader is 7.5 feet long and the saltwater one is 9 feet long. I know these lengths are a little short for many tenkara anglers, but for less than $8.00 USD they are a real bargain if you need a tapered nylon line for a small stream or creek. 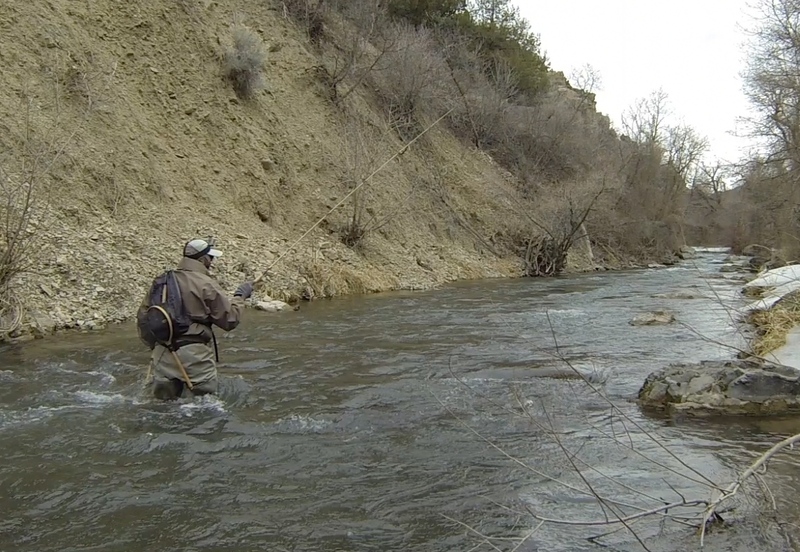 I use the 7.5 foot one on really small creeks when the wind is blowing in my face. The saltwater leader ends in a 12 lb line equivalent. That's about 2X. You could add another couple of feet of smaller fluorocarbon line to carry out the taper, if you wanted. 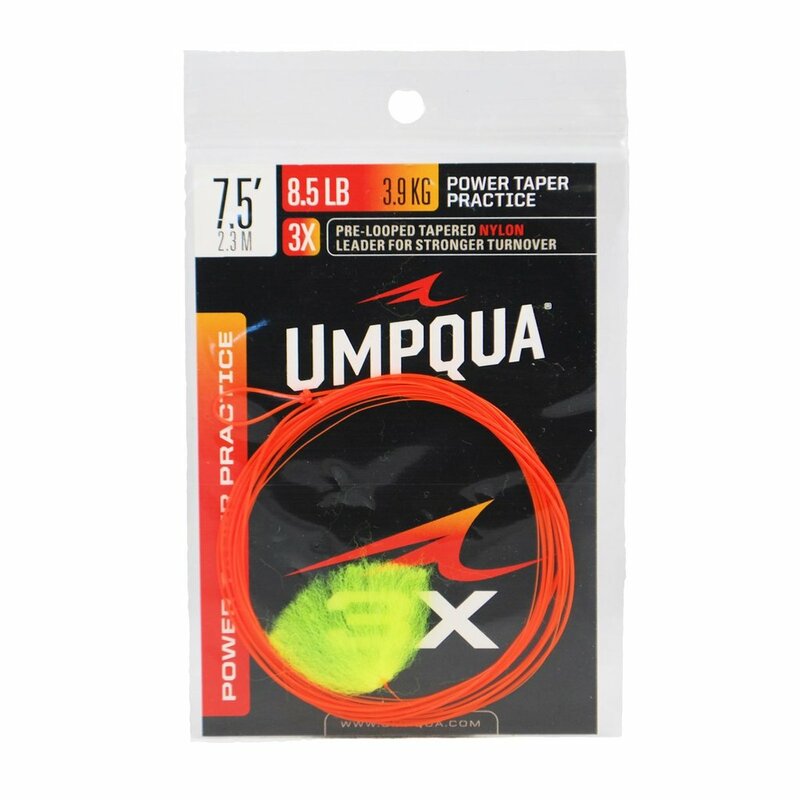 Both of these "lines" are bright orange, and the nylon is quite stiff with an aggressive taper -- what Umpqua calls a power taper. These two characteristics make these line turn over is a very tight loop and thus punch into the wind quite well. 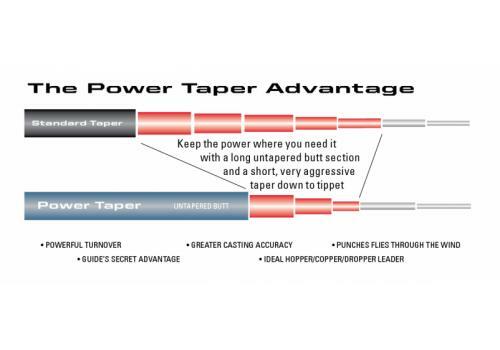 They won't handle a steady 15 MPH blow, but 10 MPH seems to be no problem -- especially when matched with a slightly stiffer rod, say in the RFI range of 5.5+. 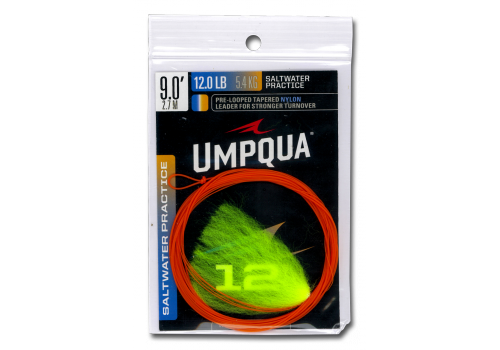 Umpqua has a few other colored leaders that might also interest the bargain minded tenkara angler. These are made for Czech nymphing, but may also serve as shorter tenkara lines. I just have't tried them. Their coloring is a little bit less bright. So if you would like a shorter tapered nylon line that works well in a breeze and doesn't cost much you may want to try one of these leaders from Umpqua. Thanks, John. I'll be posting about longer rods soon -- my experience with certain ones.